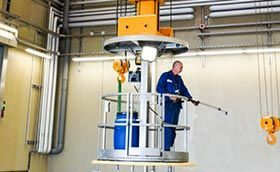 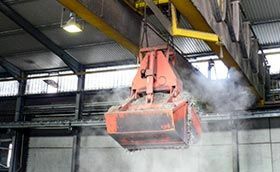 Various types of materials handling equipment offer different advantages and disadvantages for the respective area of application. 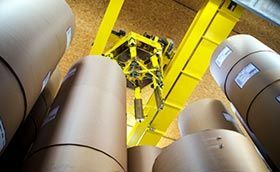 When transporting materials on the ground, forklift trucks are generally used, but these machines have significant shortcomings when it comes to occupational health and safety as well as flexibility. 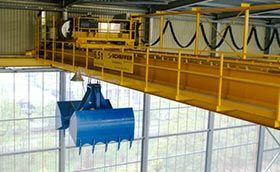 To minimise these drawbacks and combine them with other advantages, we designed the Scheffer stacking crane especially for our customers. 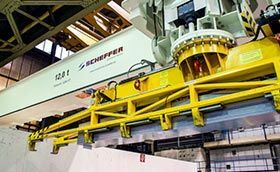 When used in high-bay storage systems, Scheffer stacking cranes can be automated, thereby offering maximum efficiency. 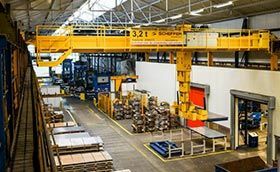 In the steel trade and in modern galvanising plants in particular, Scheffer stacking cranes are a better alternative to forklift trucks. 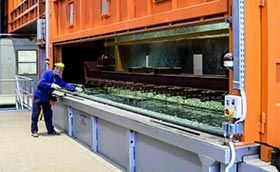 Their decisive advantages are highlighted when loading and unloading HGVs as well as loading stations or lifting and lowering stations.